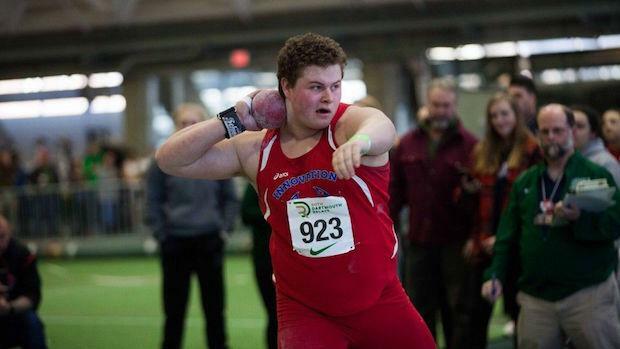 Aiden Felty and Makayla Paige joined a lengthy list of Massachusetts athletes who've made an indelible mark at the prestigious Dartmouth Relays. 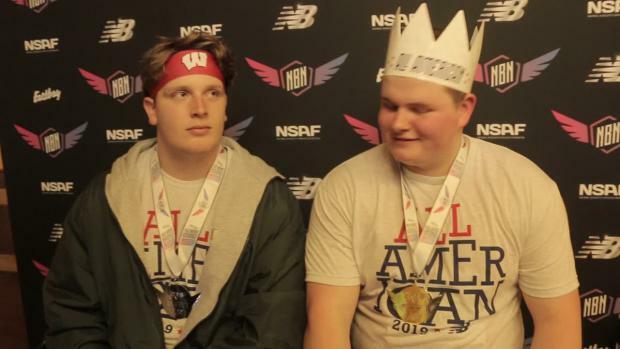 The duo etched their individual performances in the record books at the iconic indoor meet in the midst of a 50th-year celebration. 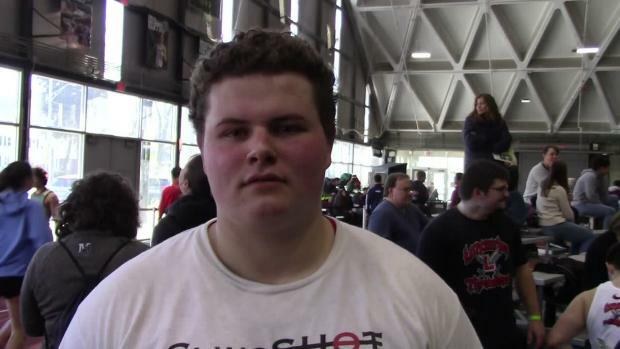 Felty capped his day at iconic Leverone Field House, throwing 63-11.75 ft in setting the new standard, in turn erasing the previous mark of Liverpool (New York) High School sophomore J.J. Grant from 1984. 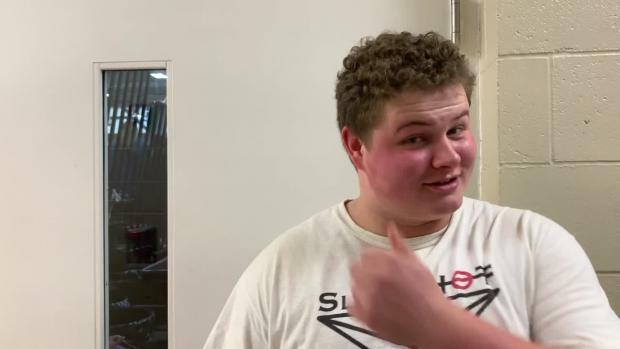 "I'm always looking to throw further than I just did, and just having fun with the season " said the amiable senior. This is my senior year and I'd like to go out and break as many meet records as possible, I really don't have a distance mark in mind at this point though." Chelsea High School Junior Stephanie Simon the lone Massachusetts athlete to double-up in Hanover, took the field to task in capturing both horizontal jumps; the long at 17-07 ft before following in the triple at 38-05 ft.
Austin Prep's Emily Hickey secured a win in the pole vault with an 11-00 ft effort and Tessa McClain of the Bromfield School joined the rest of the MA contingent in a satisfying podium walk following a crisp performance in the 1000m run in 3:00.66. Paige, working from the front early on separated from her pursuers to take the 800m in 2:12.49, snapping Caroline King's (Scotia-Glenville, N.Y.) 2007 run of 2:13.5 "I don't think I was at my best today but it wasn't too bad," said Paige who hopes to earn her way to Nationals in the 800m. " 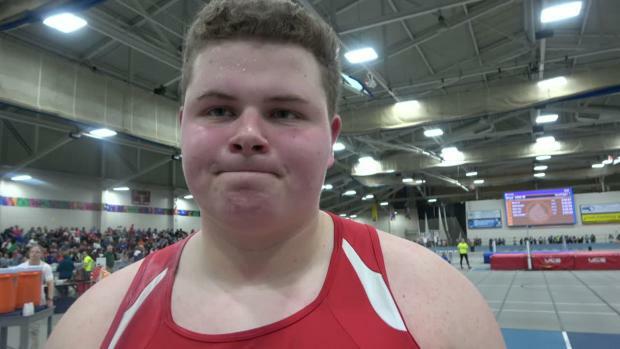 Competing at the Dartmouth Relays for the initial time, the Tewksbury sophomore found the gentle curves of the flat track "very interesting"
The girl's team title went to New York's Niskayuna High School while the La Salle Academy of Rhode Island garnered the boy's championship.